Montreal’s Fantasia International Film Festival can usually be relied upon to satisfy film fans with comedies, dramas and thrillers from South Korea. This year, Fantasia is showing 12 Korean features. Two of them, A Hard Day and Socialphobia, will be shown twice, the rest get one screening only. The Fantasia International Film Festival runs from July 14-Aug. 4, 2015. Read more about the plots, stars, directors, and screening dates, of the Korean films at Fantasia on my blog mostlymovies.ca. Lee Min-ho, left, and Kim Rae-won in the Korean film Gangnam Blues, which will be shown at the 2015 Fantasia International Film Festival in Montreal. Lee Min-ho (이민호) in Gangnam Blues. He won the Most Popular Actor for that role, at the PaekSang Arts Awards in May. Ko Ah-sung in the Korean film Office. Ko A-sung (고아성), in OFFICE. She played Song Kang-ho’s daughter in The Host and in Snowpiecer. Both films were directed by Bong Joon-ho. 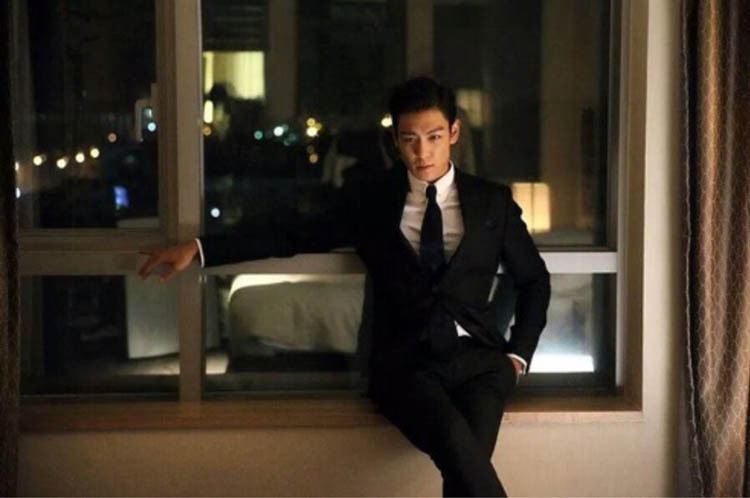 Choi Seung-hyun (최승현), aka T.O.P. (탑) of boy band Big Bang, in TAZZA: THE HIDDEN CARD. He was last seen onscreen in Montreal in the spy film COMMITMENT. 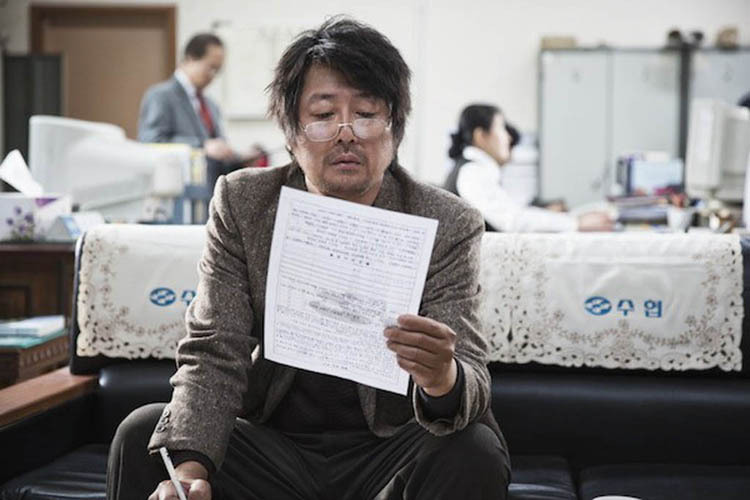 Kim Yun-seok plays a sea captain who is deep in debt in the Korean film Haemoo (Sea Fog). Kim Yun-seok (김윤석) is quite scary in HAEMOO and in TAZZA: THE HIDDEN CARD. Ha Jung-woo presents a double-barrelled danger on the poster for the Korean period thriller Assassination. 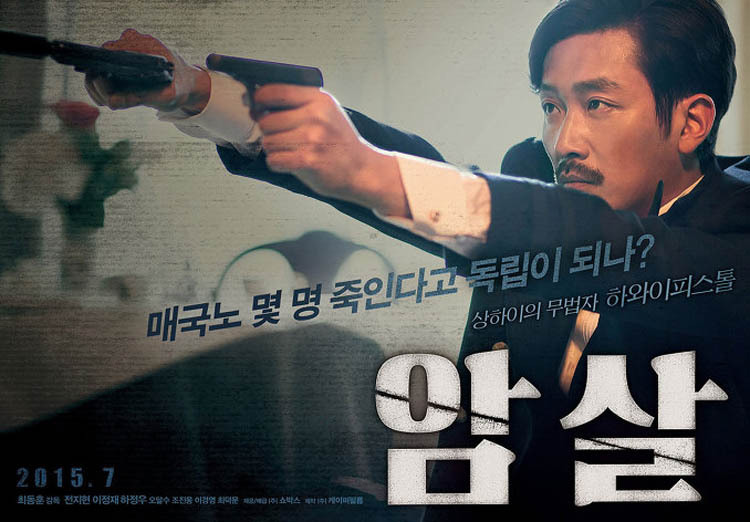 Ha Jung-woo (하정우) in ASSASSINATION. 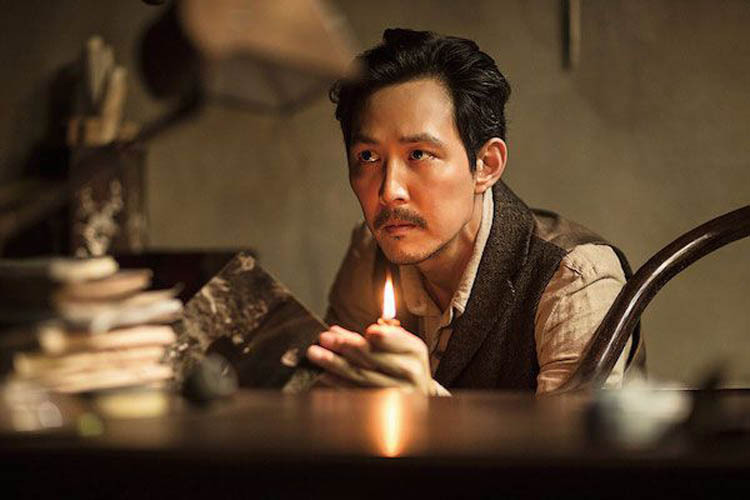 Lee Jung-jae in 1930s garb in the Korean thriller Assassination. Go Soo, left, and Han Suk-kyu in the Korean film The Royal Tailor, one of 12 feature flms from South Korea being shown at the 2015 Fantasia International Film Festival in Montreal. The Royal Tailor is a period film with beautiful costumes and court intrigue. 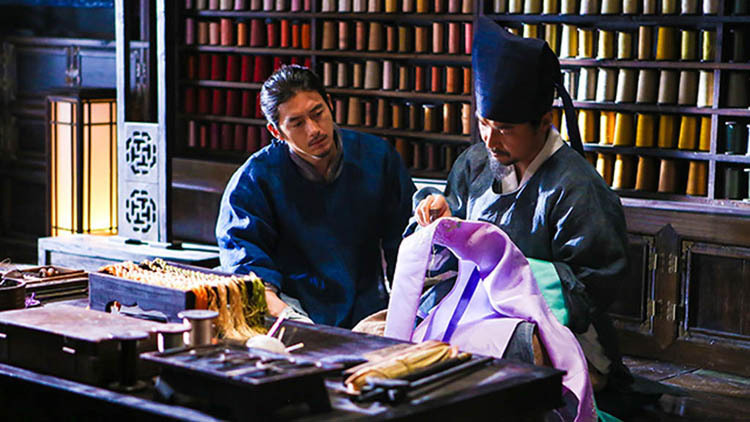 Go Soo and Han Suk-Kyu (한석규) in THE ROYAL TAILOR. 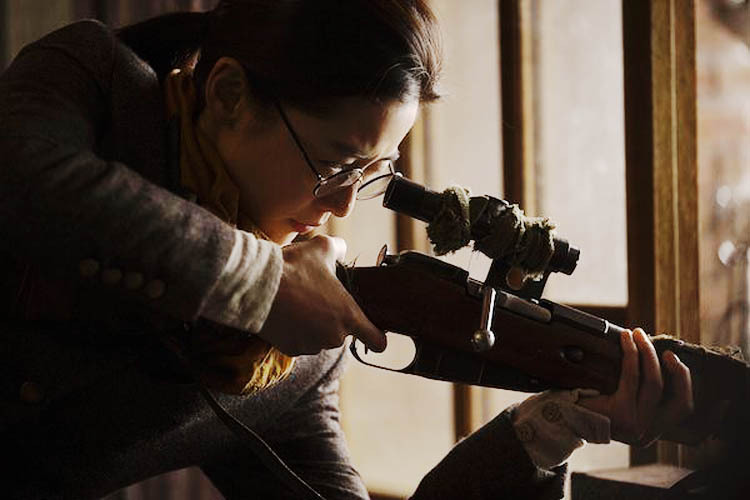 Jun Ji-Hyun (known to Western audiences as Gianna Jun) plays a sharpshooter in the Korean period thriler Assassination. It is being shown at the 2015 Fantasia Film Festival in Montreal. Gianna Jun, aka Jun Ji-Hyun (전지현) the original SASSY GIRL, in ASSASSINATION. Park Yoo-chun, left, and Han Ye-ri in the Korean film Haemoo (Sea Fog). Park Yoo-Chun (박유천) in Haemoo. He won four Best New Actor awards for this role. The actor and singer is a member of the boy band JYJ, and a former member of TVXQ. wow i missed this!! is there anymore opportunity to watch this film in Montreal?? Probably not, I’m afraid. Eventually it will probably be available for rent or purchase online, though. Maybe HMV will get it; they do sell some of the films that are shown at Fantasia.